This super cute VTech Pull and Sing Puppy is on sale for $9.99. Get ready for fun and adventures with the Pull and Sing Puppy by VTech. This playful interactive puppy loves to follow you around. Pull the puppy by its cord to activate music and sounds, see the puppy’s legs move and watch the keys swing. Press the colorful buttons to introduce numbers, colors and parts of the body. The buttons also play songs, playful phrases, melodies and cute puppy sounds. The puppy’s nose flashes along with the sounds and music plays when the puppy rolls. Shipping is free with Amazon Prime or a $25 purchase. 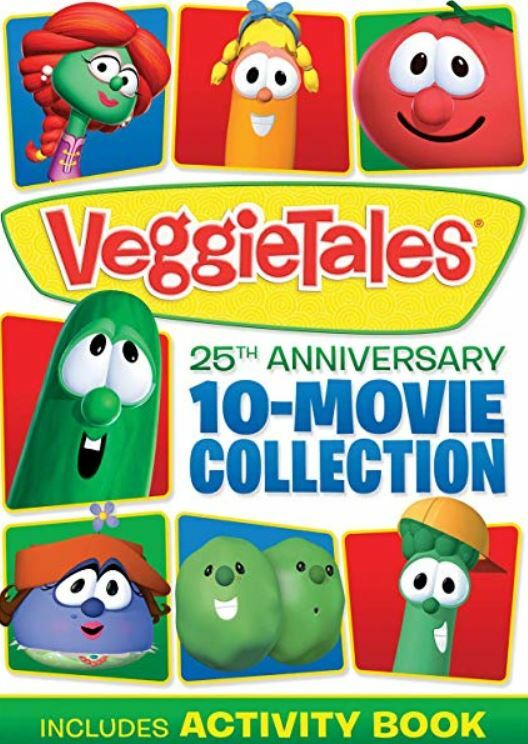 Head over to get this VeggieTales: 25th Anniversary 10-Movie Collection DVD Box Set for $14.99 (Retail $29.98). Celebrate 25 years of hilarious storytelling, silly songs and lovable characters with the VeggieTales 25th Anniversary 10-Movie Collection, featuring 2 full-length feature films and 8 of your favorite classic episodes! Since 1993, VeggieTales has presented meaningful life lessons with faith-based values like forgiveness, honesty and thankfulness in a way that is easy for kids to understand and helps to guide them in their day-to-day lives. Join a sensible tomato named Bob and a silly cucumber named Larry on the kitchen countertop as they bring all the silliness, all the lessons and all the love in this must-have collection. Today only, you can get The Life-Changing Magic of Tidying Up: The Japanese Art of Decluttering and Organizing on Kindle for $2.99 (Retail $16.99). Today only, save up to 50% on Adesso Lighting. I love this Adesso Murray 72″ Tall Floor Lamp with Storage Shelves, Drawers on sale for $74.25 shipped (Retail $99). The simple design make Adesso Shelf Lamps an easy accessory to integrate into contemporary or transitionally styled living rooms, bedrooms or home offices. The compact profile is perfect for smaller apartments or any living space that requires a dual-purpose accent. The painted MDF frame accommodates two additional MDF shelves, and the ball-accented pull chain on/off switch adds a decorative yet functional element to turn the lamp on and off. Adesso Shelf Lamps have a black cord and are smart outlet compatible. Bulb is not included. 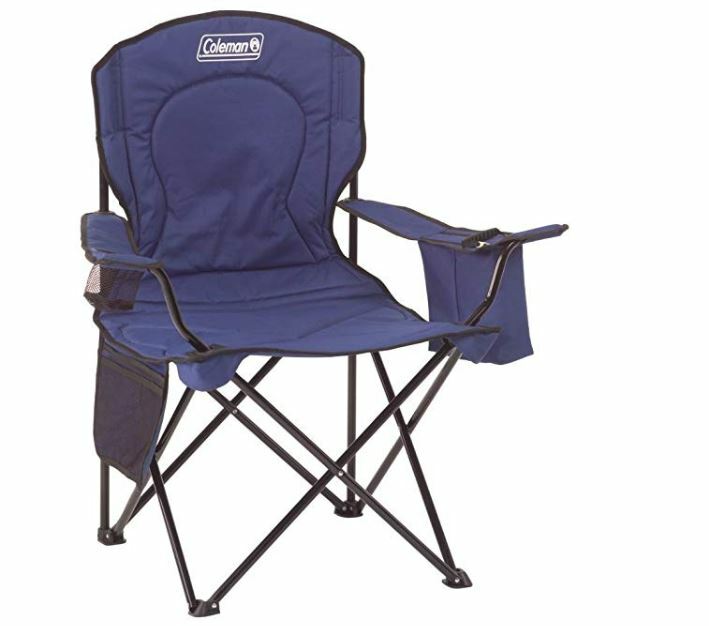 Today only, get this Coleman Portable Camping Quad Chair with 4-Can Cooler on sale for $19.99 (Retail $34.99). This is available in red or blue at this price. 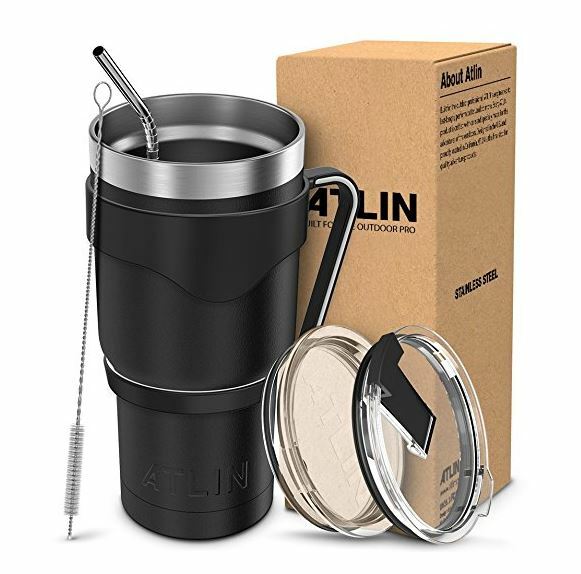 Today only get this Atlin Tumbler 30 oz. Double Wall Stainless Steel Vacuum Insulation Travel Mug for $16.99 (Retail $29.99). -BPA Free- Dishwasher- safe without the threat of toxins. -Built Tougher- The Atlin Tumbler is 7 5/8″ high and carries up to 30oz of liquid; all while being able to fit in standard size cup holders. -Snug Insulation- 2 layers of insulation to maintain your drink’s temperature no matter the outside climate. 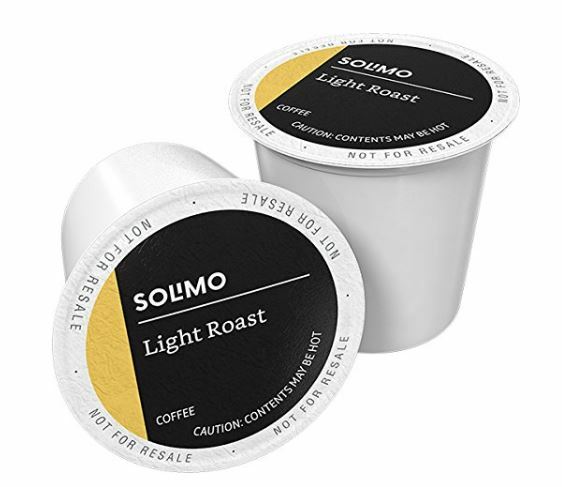 Cash in on this Solimo 100-count Light Roast Coffee K-Cup Pods for $18.99 when you clip the $10 off coupon. This Pringles Snack Stacks 18-Count Variety Pack is on sale for $6.16 shipped when you opt to Subscribe and Save! That’s only 34¢ per pack delivered to your door! It contains six packs each of original, sour cream & onion and cheddar cheese flavor. 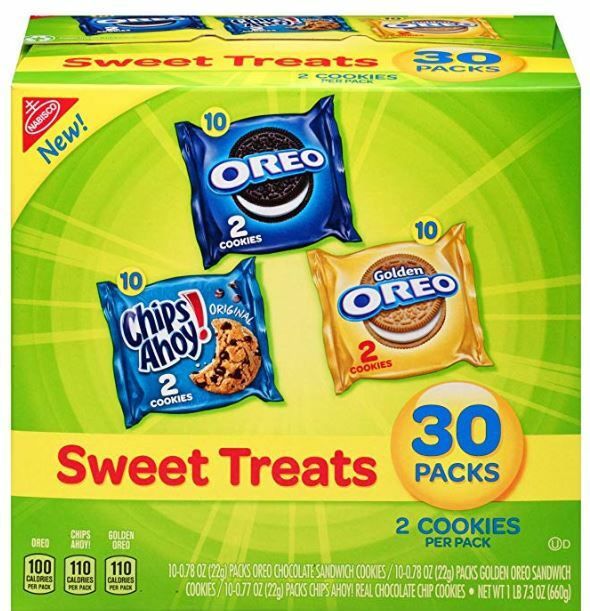 Get this Nabisco Sweet Treats – Variety Pack Cookies, 30 Count Box for only $6.63 shipped when you subscribe and save. That makes each pack only 22¢ each! This variety pack includes ten Oreo cookies, ten Chips Ahoy! cookies and ten Golden Oreo cookies. This adorable Hey! Play! Kid’s Garden Tool Set is on sale for $12.69 (Retail $24.99)! -Kid friendly- made of quality material with metal heads and real wooden handles, this set features smooth, rounded edges for kid-safe use. -These durable tools look and perform just like mom and dads- they are just smaller in Size for small hands! -Complete set- this set comes with everything your little green thumb needs to perfect their gardening skills! 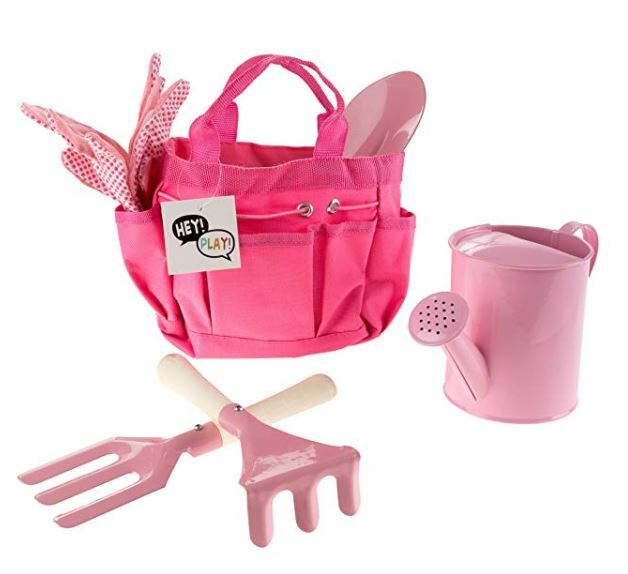 The full set includes a shovel, fork, rake, gloves, watering can and a canvas tote with pockets. -Promotes skills &with bright colors, this kit not only promotes fun, but encourages outdoor physical activity and learning. This is the perfect beginning set for your little gardener to learn about plants, nature and gardening. Today only, save up to 40% on Anker Charging Accessories. 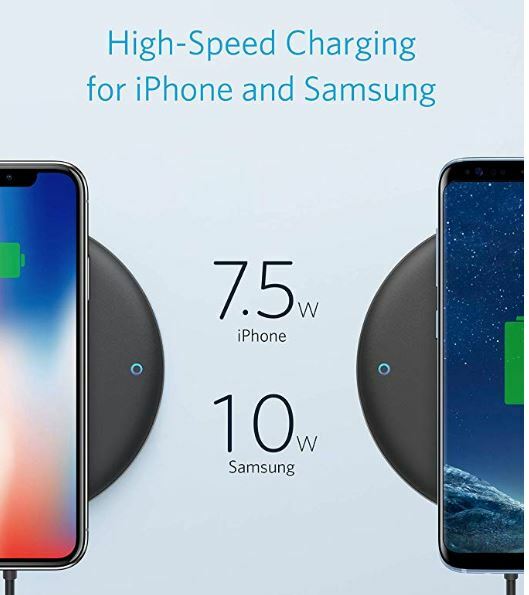 One deal worth checking out is this Anker PowerWave 7.5 Fast Wireless Charging Pad with Internal Cooling Fan is on sale for $32.99 shipped (Retail $49.99).